Sometimes a quick and simple tip that can make the mundane a little easier or make your life a little better makes a BIG difference. This is an ongoing series here on the blog where I share simple tips, finds, and suggestions to make life a little easier. I’ll be sharing these tips regularly on the blog and on Instagram– make sure you’re following along! You can see all the Everyday Tips here. 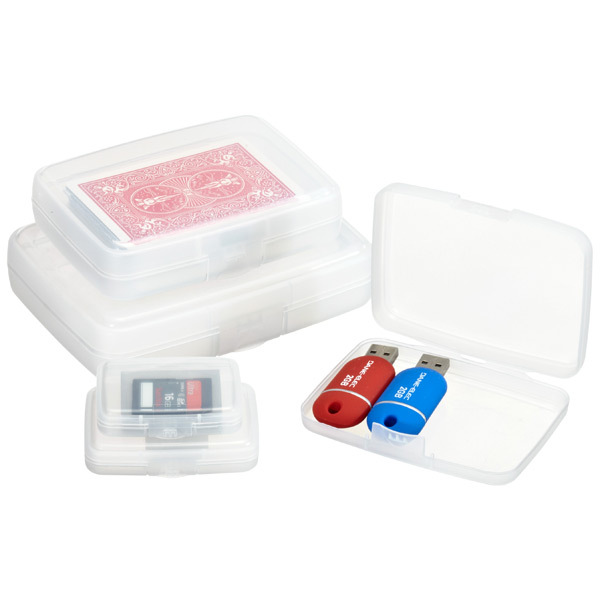 This little product simplifies the storage and containment of playing cards, dice, trading cards and other small items. 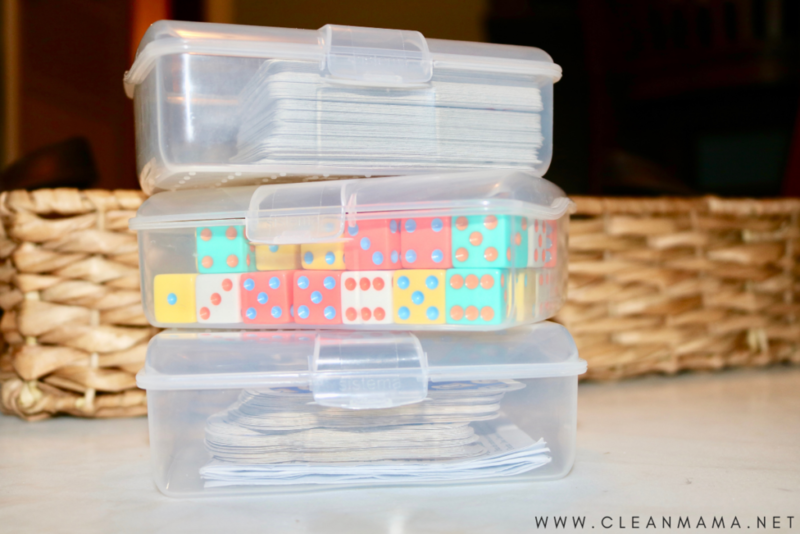 Instead of keeping those different sized tattered boxes the games come in or using rubber bands to keep them together, simply put your sets of cards in these boxes. I keep the instructions under the cards and then the boxes go in a basket in our living room for easy access. Keeping the games out (but contained) and easy to grab makes it more likely for the kids to grab them and play a game with each other or with the family. I bought these at The Container Store years ago and they are still one of my favorite organizing products. Here’s a link to the different sizes available – I used the large hinged box – it fits playing cards perfectly. You could also use the plastic soap boxes found in the travel section of Target and Walmart or at the Dollar Store. If you’re in the market for some great card games and our favorite dice game – shop the post below. Have a favorite family card game? Share it in the comments! Oh wow that’s a really awesome container!! Good idea too bc that’s stuff so annoying to have to corral. WE love the card game-Cover Your Assets! Would also be great for jigsaw puzzles when the boxes fall apart. No more lost pieces! Do you do this with games that have boards as well? Another great place to find similar storage containers is at Michaels in the organization section. 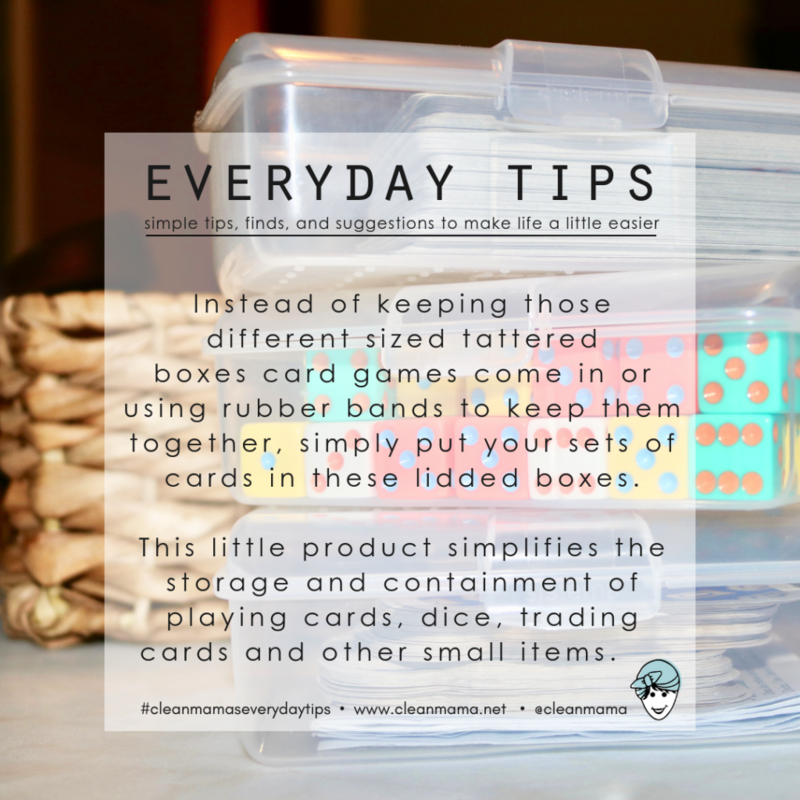 I am a therapist who works with children and have a ton of card games and puzzles, which fit nicely into the 4×6 or 5X7 plastic photo cases. For games like Jenga they have a slightly larger case and the 12×12 scrapbook cases fit most of my board games. I cut the box if it’s a puzzle and tape it to the inside lid and tape the instructions in as well.